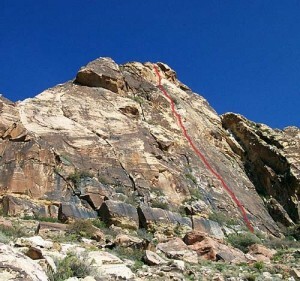 Diet Delight is not your standard Red Rocks edge pull. It has smooth rock and fractured climbing up cracks and dihedrals. Crack technique, liebacking and stemming are all required, and several sections have challenging protection. Which SuperTopo guidebooks include a topo for Diet Delight?